NASHVILLE, TN--(Marketwired - Jan 26, 2014) - GRAMMY nominated artist Hunter Hayes will head out March 20 on his "We're Not Invisible Tour," presented in part by Child Hunger Ends Here, with several dates running through the summer (dates and cities listed below). His latest single "Invisible," which is the debut track from his forthcoming album due this May, world premiered TONIGHT on the 56th Annual GRAMMY Awards. Hunter was nominated tonight for "Best Country Solo Performance" for his multi-week No. 1 single, "I Want Crazy." For every download of "Invisible" on iTunes, Child Hunger Ends Here will donate the monetary equivalent of one meal to Feeding America, up to 1 million meals**. With special guests Danielle Bradbery from NBC's Emmy award-winning show The Voice and Warner Bros. Records new country duo, Dan + Shay, the "We're Not Invisible Tour" comes on the heels of Hunter's sold-out "CMT On Tour: Let's Be Crazy Tour" which wrapped this past December to much critical acclaim. First round of on-sales for the "We're Not Invisible Tour" begin February 1 with ticket pre-sales beginning January 29 (please visit HunterHayes.com for local on-sale times). For on-sales and more, visit www.hunterhayes.com, on Facebook at www.facebook.com/hunterhayes and follow Hunter on Twitter @HunterHayes. Four-time GRAMMY nominated artist, Hunter Hayes, is a multi-talented performer, musician, producer, and writer. His critically acclaimed Atlantic Records self-titled album garnered three consecutive No. 1 singles, selling over eight million singles to date while the album itself has been certified platinum by the R.I.A.A. His current Grammy nomination for Best Country Solo Performance for his No. 1 single "I Want Crazy" marks his fourth Grammy nomination off his debut release. 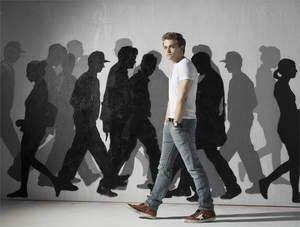 Hunter is currently featured as one of Forbes Magazine's "30 Under 30" and has played over 500 dates since 2011. The Louisiana native has headlined sold out venues across the US and Canada and recently wrapped the sold out CMT On Tour: Hunter Hayes' Let's Be Crazy tour this past fall. For more information visit www.hunterhayes.com, on Facebook at www.facebook.com/hunterhayes and follow Hunter on Twitter @HunterHayes. Seventeen-year-old Danielle Bradbery charmed her way into the national spotlight with her sweet, soulful sound and quintessential personality, winning season 4 of The Voice and seeing multiple performances reach #1 on the iTunes Country Singles chart. The youngest to ever take the title, coach Blake Shelton called Danielle, "the most important artist to ever walk across The Voice stage." The Team Blake darling made surprise appearances on his TEN TIMES CRAZIER TOUR last summer and is currently opening for Brad Paisley's "Beat This Winter Tour." Danielle's self-titled debut album on Big Machine Records features the Top 15-and-rising lead single "The Heart of Dixie." She has appeared on the CW's Hart of Dixie, KATIE and ABC's The View and NBC is using her song "My Day" for their Sochi Winter Olympics campaign. Follow Danielle's journey here: twitter.com/Dbradbery or facebook.com/pages/Danielle-Bradbery/173145822836649. ** For every "Invisible" song iTunes download between 1/27/14 and 4/4/14, ConAgra Foods will donate the monetary equivalent of one meal (11.1¢) to Feeding America, up to 1 million meals. Valid in U.S. and Puerto Rico only. *** Enter the 8-digit code found on participating products. For every ConAgra Foods code entered, ConAgra Foods will donate 11.1¢ and for every P&G code entered, P&G will donate 11.1¢, the cost for Feeding America to provide one meal through its network of local food banks. ConAgra Foods codes must be entered by 8/28/14 and P&G codes must be entered by 6/16/14. ConAgra Foods will donate up to 5 million meals with a guaranteed minimum donation of 1 million meals ($111,111) and P&G will donate up to 2 million meals with a guaranteed minimum of 1 million meals ($111,111). Limit 5 code entries per person/computer each day. See ChildHungerEndsHere.com for complete details and a list of participating brands. Valid in U.S. and Puerto Rico only. © ConAgra Foods, Inc. All Rights Reserved. © 2014 Proctor & Gamble. For more information on Hunter Hayes, please visit HunterHayes.com. ©�2014 Atlantic Recording Corporation for the United States and WEA International Inc. for the world outside of the United States.